The quality of your recordings start first with you—your voice, mic technique, and speaking style. But the first piece of equipment that picks up your voice and affects the recording is your microphone. The ideal spot for most microphones is 4–6 inches (10–15 centimeters). This ensures that the microphone picks up more of your voice than reverb and other noise. Because most podcasters are not in soundproof, acoustically treated studios, a large-diaphragm, dynamic microphone is usually the best choice. Get a microphone that will grow with your podcasting needs. USB-only microphones don't scale well, which is why I always recommend against using them. For example, combining multiple USB microphones, remote cohosts, live sound effects, or live-streaming can all be difficult or nearly impossible, unless you make some big sacrifices. Audio-Technica ATR2100-USB Cardioid Dynamic USB/XLR Microphone—Usually $50–$60 (and sometimes as low as $35), this mic can connect directly to any PC and mobile devices via USB, but it can also connect to professional audio equipment via XLR. It's the only microphone of its kind with a lifetime warranty. And the sound is quite good! The kit comes with the mic, a long USB cable, a thick XLR cable, a mic clip, and a small mic stand. If you can't get the ATR2100-USB affordably in your country, try the Audio-Technica AT2005USB or the Samson Q2U. These two mics have the same features and general quality of the ATR2100-USB, but they have only one-year warranties. A microphone, alone, is usually not enough for recording well. In order of priority, here are some of the accessories you might need. Pop filter or windscreen—A pop filter is the disc-shaped mesh that sits between you and the mic and it's best for in studios. A windscreen is the sock-like foam that fits over the microphone and it's best in portable or outdoor environments. Shock mount—Vibrations, such as typing on your keyboard, bumping your desk, or touching the mic or mic stand, can cause low-frequency noise in your recordings and sound amatuer. A shock mount suspends the microphone in a sort of spider-looking cage that absorbs the vibrations. Preamp—If you don't already have a good preamp in your recording chain, you may need to add a dedicated one. The preamp is what amplifies the microphone's signal (gain) before passing on through your audio chain. A cheap preamp will introduce a constant hiss. Quality preamps can be found in many mid- and high-end mixers, or you can add your own with a Cloudlifter CL-1, DBX 286s, or a Fethead. Hear yourself—It's important to know how you sound in the microphone. This will help you know when you're too loud, too quiet, too close, or too far. Hear what is and isn't picked up by the mic—This helps you to know whether the microphone picks up the dog outside, your sniffle off-mic, your typing, that bump on the desk, or any other nearby sound. You may sometimes be surprised what does and doesn't make its way into your recordings. Hear what you're supposed to hear—Each participant in the podcast needs to hear each other and hear any sound clips you may use. Listen to my episode about headphones to help you pick the right pair. The audio from your microphone needs to be recorded somewhere. Here are my recommendations, in order of quality, stability, and reliability. An external digital recorder—A standalone device dedicated to recording. 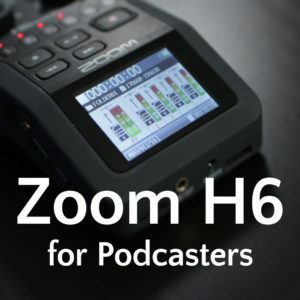 This could be a smartphone, but you can a lot more reliability and quality from something like a Zoom H5 or Zoom H6. Standalone recording software on your PC—Any app on your PC that can record, such as Audacity, Adobe Audition, or even QuickTime Player. You may need to virtually mix things with Virtual Audio Cable (Windows), Audio Hijack (OS X), or one of the audio apps from VB-Audio (Windows). VOIP recording software on your PC—Software that connects directly to Skype or whatever other voice over Internet protocol (VOIP) tool you're using. Consider Pamela for Skype (Windows), Ecamm Call Recorder for Skype (OS X), Ecamm Call Recorder for Facetime (OS X), or Ringer (iOS and Android). Live-streaming recording software on the Internet—Most live-streaming tools also allow you to simultaneously record, but this usually has to reduce the audio quality for the sake of bandwidth. Consider Google+ Hangouts on Air, Blab, Spreaker, and Mixlr. If you have remote guests or cohosts, then your recorder must be able to capture all of those sources. I recommend splitting yourself from your remote participants (even with a simple left-right separation for recording, but mixdown to mono for publishing). Learn why it's a good idea to use an external digital audio recorder. A mixer isn't mandatory for a successful podcast. But a mixer can make a lot of complicated things much simpler, or enable you to do things a little better. Combine sources—Multiple microphones, soundtrack, and other inputs. Adjust volumes—Make real-time tweaks to the audio levels of any input or output. Provide preamps—Adjust the sensitivity of your microphones. Combine or separate outputs—Output to a recorder, headphones, live-streaming interface, audio-processor, VOIP or phone option, and more. Add some effects—Tweak the equalization (EQ), add some compression, or add special effects. Learn more about mixers and whether you need one for your podcast. If you want to live-stream your show over the Internet while you're recording, then that adds an extra layer of complexity. 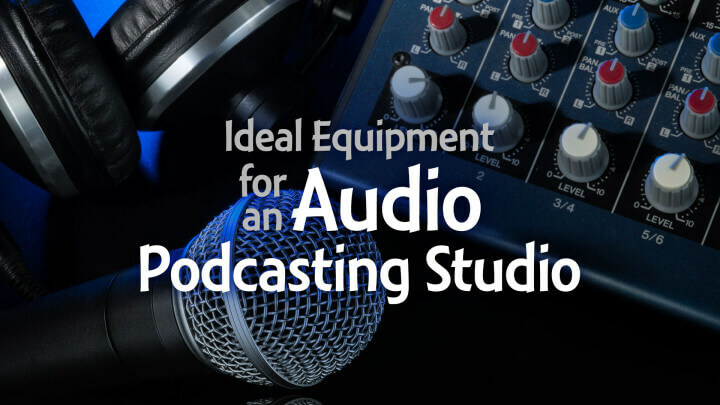 As for your equipment, you should be able to feed all of your audio sources (you, your participants, and the soundtrack) to a single output. If your live-streaming tool is also integrating with your remote participants (such as Blab, Hangouts on Air, Spreaker, etc. ), then you may not need a separate interface. Learn more about live-streaming from the many episodes I've done about it. Depending on your other equipment choices and live-audio needs, you might need to consider additional audio processing. Compression—Smooth out the dynamic range between loud and quiet spots. Limiting—Protect the audio from getting too loud and causing distortion. Gating/expanding—Prevent noise from being captured when you're not talking. Addition processing—De-essing, EQ, and other effects could also be done on your audio in real-time before going to your recorder. Learn more about software vs. hardware compressors. 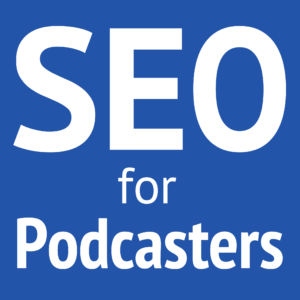 November's free webinar from Podcasters' Society is still in planning, but I'll have details soon! Great guide, Daniel! 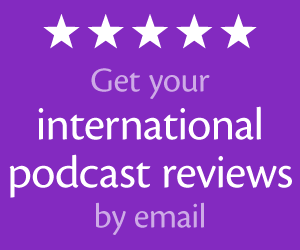 Quality info for every level of podcasting!